On this page, we have assembled some of the main resources that we have found over the past year or two, and which we find highly credible or helpful. Over the decades together, we have incrementally taken more and more responsibility for managing our own health. This includes daily physical exercise, meditation, relaxation; plus healthy diet, including those supplements which make sense to us, based on the available evidence; and various other lifestyle factors. However, we are not in the business of dispensing health advice, so you should treat links on this page as education and information; and critically evaluate them yourself. We engage in Lifestyle Coaching, in which we point you towards various options which you could benefit from evaluating and assessing, for their usefulness to you. Or, as the Buddha said, ‘Find out for yourself!’ It is probably normally wise to consult a reputable physician, dietitian or healthcare practitioner, before making fundamental changes to your life. Kelly Brogan, M.D. is a Manhattan-based holistic women’s health psychiatrist, author of the NY Times Bestselling book, A Mind of Your Own, and co-editor of the landmark textbook, Integrative Therapies for Depression. This is the UK’s guide to complementary and alternative medicine, self-development and natural remedies. David Perlmutter, MD, FACN, ABIHM is a Board-Certified Neurologist and Fellow of the American College of Nutrition. He is the author of many books, including: The Better Brain Book, Raise a Smarter Child By Kindergarten, Power Up Your Brain: The Neuroscience of Enlightenment, the #1 New York Times Bestseller Grain Brain – The Surprising Truth About Wheat, Carbs, and Sugar – Your Brain’s Silent Killers with over 1 million copies in print and availability in 27 languages, New York Times Bestseller The Grain Brain Cookbook, and New York Times Bestseller Brain Maker: The Power of Gut Microbes to Heal and Protect Your Brain – For Life. …looks like an interesting an important resource to explore. They appear to have a comprehensive model of wellness, which in compasses: movement and fitness; emotional health; healthy relationships; healthy sleep; healthy home; healthy weight; healthy eating; and much more besides, including courses of training. First and foremost, he is an osteopathic physician, also known as a DO. DOs are licensed physicians who, similar to MDs, can prescribe medication and perform surgery in all 50 states. DOs and MDs have similar training requiring four years of study in the basic and clinical sciences, and the successful completion of licensing exams. But DOs bring something extra to the practice of medicine. Osteopathic physicians practice a “whole person” approach, treating the entire person rather than just symptoms. Focusing on preventive health care, DOs help patients develop attitudes and lifestyles that don’t just fight illness, but help prevent it, too. “To help you narrow down the most credible, trustworthy, and informative material, we’ve identified 50 of the top alternative health blogs on the web. Many of these blogs are written by medical or naturopathic doctors, or other practitioners working in alternative health and medicine fields on a daily basis. Patrick Holford, BSc, DipION, FBANT, NTCRP, is a pioneer in new approaches to health and nutrition. He is a leading spokesman on nutrition in the media, specialising in the field of mental health. He is the author of 36 books, translated into over 30 languages and selling millions of copies worldwide, including The Optimum Nutrition Bible, The Low GL-Diet Bible, Optimum Nutrition for the Mind, and The 10 Secrets of 100% Healthy People, 10 Secrets of Healthy Ageing and Good Medicine. Take a look, and review and evaluate the contents for yourself. Drawing on the project findings in rural China, the China Study details the connection between nutrition and heart disease, diabetes and cancer. The China Study is a book by T. Colin Campbell, Jacob Gould Schurman, Professor Emeritus of Nutritional Biochemistry at Cornell University, and his son Thomas M. Campbell II, a physician. It was first published in the United States in January 2005 and had sold over one million copies as of October 2013, making it one of America’s best-selling books about nutrition. And here’s another link to some interesting details of the Okinawa Diet – Food List and Recipes. 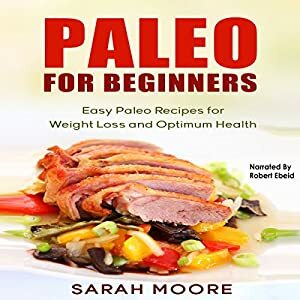 The Paleo diet emphasizes animal protein, fruits, vegetables, nuts and healthy fat sources such as avocado, ghee and coconut oil, according to John Berardi, Ph.D. for the Huffington Post. Variations of Paleo may include legumes and dairy; however grains, heavily processed oils and processed foods are not included. In this book, you will find a very clear, brief, easy to read introduction to a novel approach to ‘counselling the whole person’.This emotive-cognitive approach does not restrict itself to mental processes. We go beyond what the client is ‘telling themselves’, or ‘signalling themselves’; or what went wrong in their family of origin. We also include how well they manage their body-brain-mind in terms of diet, exercise, sleep, and emotional self-management (including self-talk, or inner dialogue). And we propose that it is better for counsellors and therapists to operate in a primarily right-brain modality, and to use the left-brain, cognitive processes, secondarily. This book – How to control your anger, anxiety and depression, using nutrition and physical exercise – provides some clear guidelines regarding those foods which need to be excluded from your diet, in order to be healthy and emotionally well. It also contains lots of stimulating ideas to help you to produce your own ‘personalised diet’ and exercise plan. And we have expanded Part 6 to provide a comprehensive guide to how to change any habit, so that readers can actually make the kinds of changes to diet and exercise approaches that appeal to them. ABC Coaching and Counselling Services, Hebden Bridge, Calderdale, West Yorkshire, HX7 8HJ, UK; and all over the world via the telephone system, email, and via Skype/webcam.